Actually there are two electric cars made by Tesla motors right now. 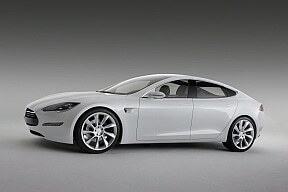 One is the Tesla S, an awesome sports sedan. The other is the beautiful Tesla Roadster. What they have in common is that they both are 100 % electric vehicles, are pricey and have breathtaking ‘operating figures’. 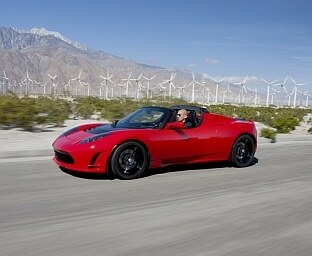 The Tesla Roadster – on the road since 2008 – is a really beautiful car. With a base price around $109.000 it is competing with the Porsche 911 GT3 ($112,200, 415 PS [305 kW; 409 hp] @ 7600 rpm, 3.8 L). A – fossil fuel burning – dream accelerating from 0 to 60 mph in 4.1 seconds. The Porsche 911 GT3 has a top speed of 194 mph and about 19 MPG. Though I do not believe in the CO2 drama, I do believe that we have to do everything we can to sustain the environment. What hasn’t been there before shouldn’t be put there by us. 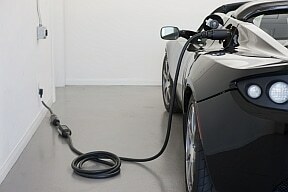 The Tesla Roadster has 188 hp [215 kW], needs 3.7 seconds from 0 to 60 mph and has ZERO emissions. One charge propels the car for 245 miles. The top speed is 125 mph. The future, more sedan like, Tesla S (base price $57.400, Roll out 2012) example accelerates from 0 to 60 mph in 5.6 seconds and has 120 mph top speed. The best Porsche (911 Carrera, $76.300, 325 PS [239 kW; 321 hp] @ 6500 rpm, 3.6 L) with an conventional engine and emissions has better acceleration (4.7s, top speed 180 mph) and great features…but honestly is at the end of its life cycle, isn’t it? 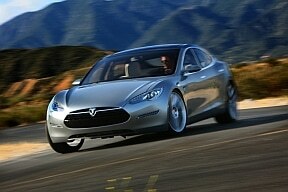 The Tesla S for me is part of the future.